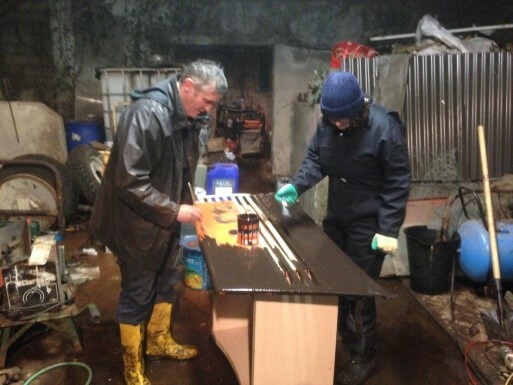 In 2012, we applied for the “social farming across borders” project. We had four gentlemen, Noel & Michael form Fermanagh and Michael and Stephen from Leitrim, coming one day a week to help us on the farm. It became a great experience for all of us. 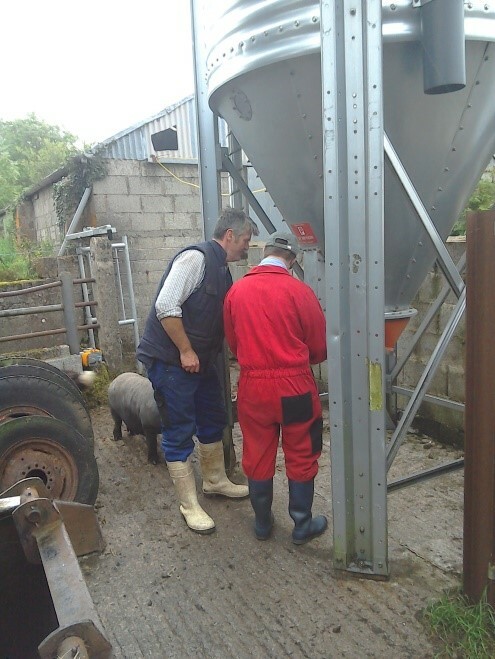 It’s the social part, rather than the farming, of Social Farming that is key to its success. It’s not often that in life you get a chance to be involved in something that really captures your interest and your enthusiasm. Social Farming has for me, as it has for Miriam, Ben (14), Saoirse (12), James (11) and the rest of my wider family. Back in 2012, we noticed an advertisement in the local newspaper for an expression of interest to join the original “social farming across borders” project. We didn’t know what was involved, but it sounded interesting and applied. 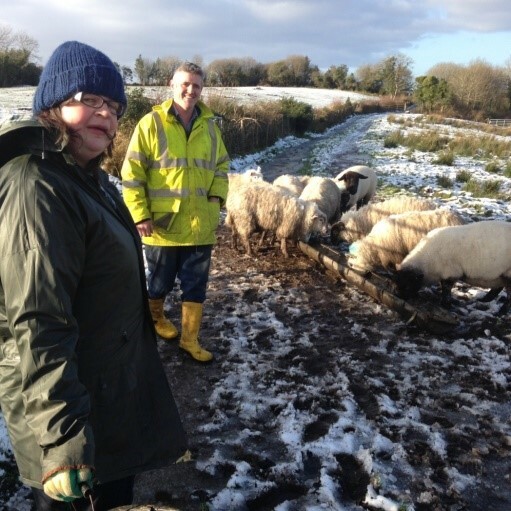 Fortunately we were successful and chosen as one of the two farm families in Fermanagh to open up our farm and home to people with a learning disability and/or a mental health issue. 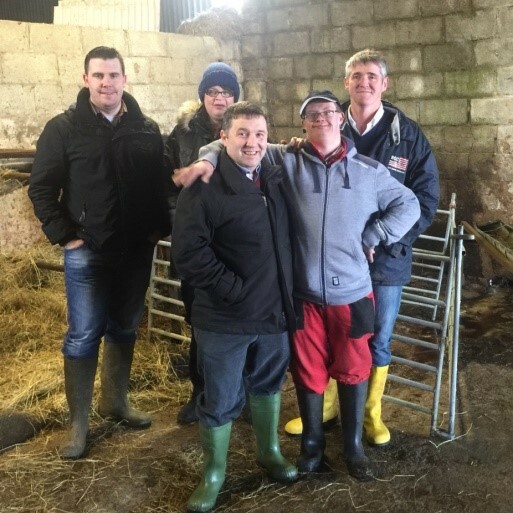 During the project, we had four gentlemen, Noel & Michael form Fermanagh and Michael and Stephen from Leitrim, coming one day a week to help us on the farm and become part of normal daily farm life. All were at that stage attending traditional day services in a day centre. Noel & Michael P. travelled about 13 miles, and Stephen and Michael M. lived 22 miles away. During the thirty weeks they were coming to the farm, we not only got to know them, but also their families. In 2015 we resumed with short 10-week taster sessions supported by our local health services. This time however, we had three ladies, Kerry, Ciara & Amanda. One was local and two were from Enniskillen (25 miles away). Even though the placement ended six weeks ago, as I write this on a Saturday night I am giving the local lady a lift to see one of the others who is now her friend, and is performing in a play in Enniskillen. 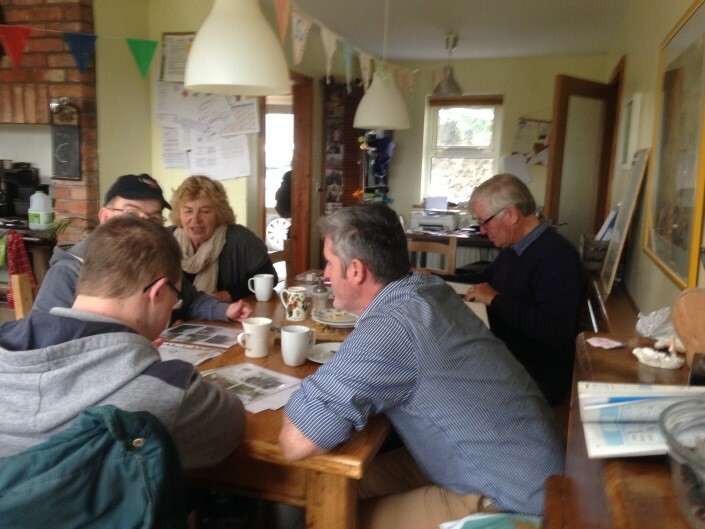 For us the great thing about offering a support service like Social Farming is that you do it in your own home and can offer all the hospitality that goes with that whilst remaining professional in other aspects of the relationship. The people who came did so because they chose to – they had an interest in farming and the outdoor life. We believe however, that they stayed not so much for the farming but because it became a great experience for all of us. Relationships and real roles evolved around what we were doing – ”she talks about it all the time”, ”It changed her life actually”, said Kerry`s mother Gemma – Kerry is one of the girls who came to the farm. We had some great days when family members came to our farm just to see what was happening and got stuck into the daily tasks of running a beef and sheep farm. Some families we already knew from saying hello in the local shop, but through Social Farming we have got to know each other better, and do things with people in the community which are usually seen as being the gift of “specialist services”. Unlike traditional services, we are there and living in the local community 365 days a year. This is respected and not abused by people, but it means we have a consciousness and awareness for opportunities to involve and include people, not just through the supports we provide on the days they are with us but by being aware of their wider interests. I know our experience was similar to many of the other families when it came to including people in social events in the locality on days outside the normal days for people to attend the farm. In essence, we believe it’s the relationships you built while working and sharing together on the farm, the cup of tea around the kitchen table, the visit to the co-op shop, the call of the vet and the AI man – all are part of the real life of farming and are what makes social farming both ordinary and unique. The project ended, and since then we have kept up the contacts and we are so thrilled to get cards on children’s birthdays delivered by hand, when we can catch up over a cup of tea. Social Farming or as we like to call it ‘farming socially’ has so much to offer our Irish society. 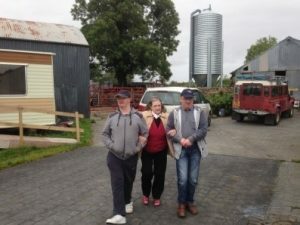 The demography of Ireland, where the average size of a farm is 60 acres, and is farmed in most cases by a family who have a multi-generational connection to the farm and the community, is ultimately suited for providing support to each other. The wider connectivity reaches out to those families who have support needs in a particular generation and can make their survival in their community viable. This model, if developed, can make for more cohesive and supportive communities through those family supports. In summary, it’s the social part, rather than the farming, of Social Farming that is key to its success and why we as a family have continued to offer supports to other families who have someone on a journey to which we can make a contribution. The relationships around farming and family are a great place from which to grow. For anyone looking to get involved our advice would be to get engaged – and we mean from both sides of the relationship. The twenty farm families at the end of the project formed Social Farming Ireland to help develop and promote the concept and we would love to hear from you. Malachy Dolan and his family are farmers, operating an organic suckler herd on 50 hectares in South-West Fermanagh.